As the need for mental health services grows, St. Paul’s Hospital can be considered ground zero. Over the past five years, the hospital’s emergency department has seen an 88 per cent increase in visits due to addictions and mental illness. Many of these patients face severe mental illnesses, often complicated by poverty, homelessness and substance issues. St. Paul’s works hard to meet the needs of this complex patient population. The hospital provides a range of coordinated emergency, inpatient, outpatient, specialized diagnostic and treatment services and provincial services for people with serious mental illnesses. Its team of more than 250 staff and physicians are leaders in the treatment of adults with eating disorders, chronic pain management and inner-city youth mental health issues. However, St. Paul’s mental health program is not as well known as other programs, such as cardiac and renal care. What’s more, the need for mental health services was exploding, but the stigma of mental illness made it difficult to attract funding and donor support. In 2012, St. Paul’s turned to Signals for help. Many people still view addiction and mental illness as personal failings. This attitude is particularly hurtful to inner-city populations, like those of Vancouver’s Downtown Eastside (DTES). The subject makes people uncomfortable and was usually discussed behind closed doors, in institutional settings – like hospitals. But the healthcare landscape in BC was changing and by 2012, St. Paul’s journey toward patient-centered care was well underway. It was clear that patients dealing with mental health issues could benefit from this new approach: less clinical in the hospital, more social and practical in the community. The challenge was how to communicate the change. When we have the opportunity to collaborate with our clients early in the planning process, we get to the best solutions fast. Listening to the St. Paul’s team, with open minds and hearts, we learned that mental health patients are often defined by their diagnosis. At St. Paul’s, however, the team believes in building relationships with patients from the first encounter. Rather than focus on a medical diagnosis, they focus on whatever is important in the life of each patient. This attitude is critical, and we made the case that it should play a central role in the solution: it formed the core idea for the “change the labels” campaign. The campaign aimed to shift the way we think and talk about mental illness. 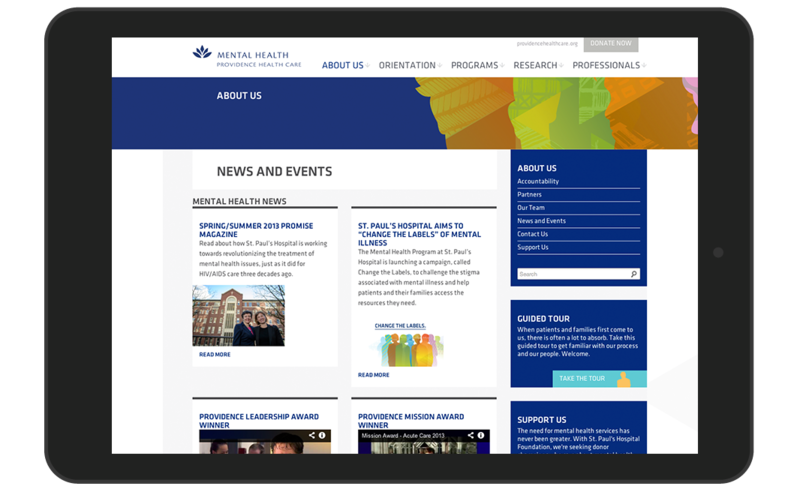 It was grounded in a new website that encouraged health practitioners and the public to see people with mental health issues the way they are seen at St. Paul’s – as real people with careers, families and friends, who also have a mental illness. “When you’ve had the opportunity to share and contribute, you become invested.” Jude Swanson, former patient. To make the site feel personal and informal, rather than institutional and authoritative, we created illustrations that presented patients in terms of their interests and life stories, instead of their illness. And we invited patients to come forward, share their stories and show their appreciation for the work being done at St. Paul’s. “We strongly believe that the (web)site’s success required the active participation of patients and families to ensure their voice was heard.” Alice Chan, clinical nurse specialist Mental Health at St. Paul’s Hospital. 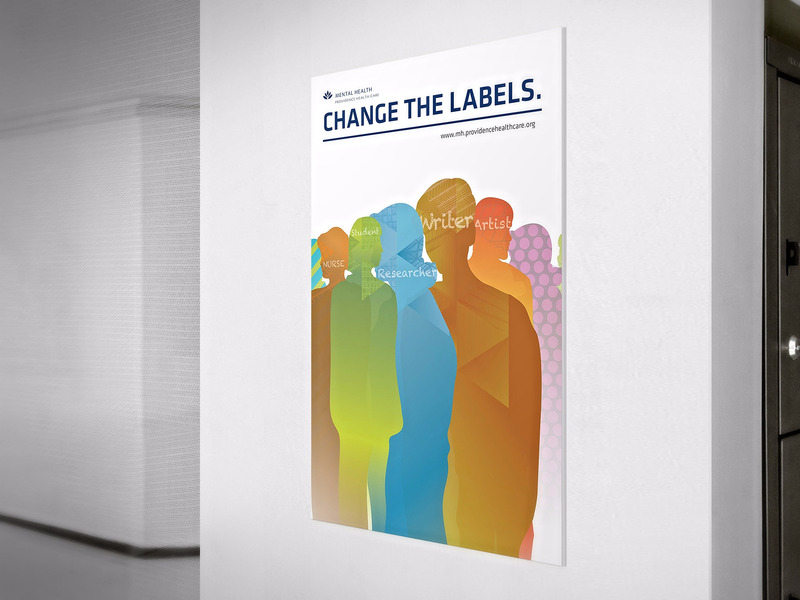 Guided by the mental health team’s patient-centered approach, every tactic of the “Change the Labels” campaign was designed to reassure patients and their families by providing clear information, with compassion. For example, discussions with patients and families revealed their anxiety around the hospital admission process. 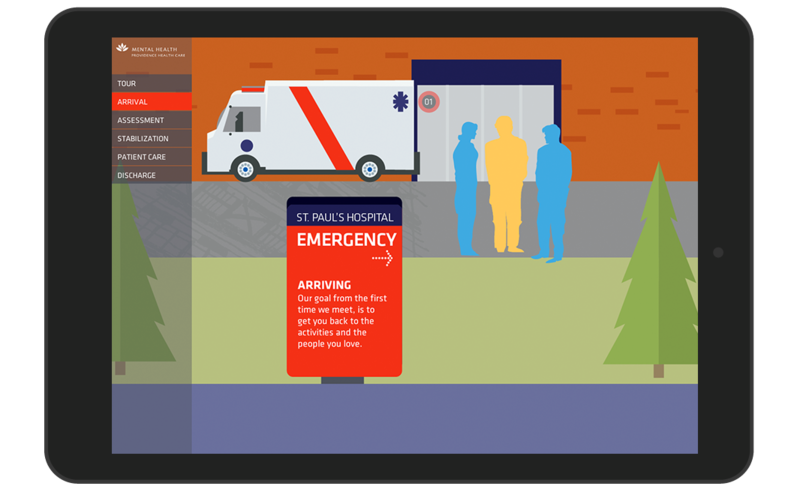 We applied that learning to create an online tour that illustrates, step by step, what will happen if they arrive at St. Paul’s during a crisis. 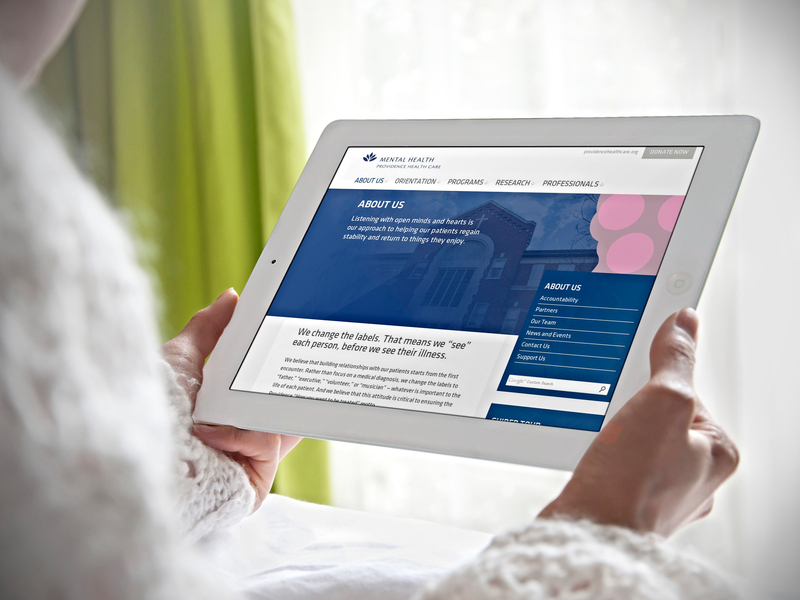 “We were very involved in all aspects of the site, even in deciding what links and resources to include. As a parent of an adult child with a serious mental illness, I’ve learned that family members have a crucial role in a mental health support team.” Gail Windsor, parent. The website was launched in June 2013 and has been a tremendous success. Site traffic has been building steadily since the launch, with more than 30,000 sessions to date. In 2014, Alice Chan, Gail Windsor, and Jude Swanson were invited to speak to 700 delegates from across North America and Europe about the website, at the 6th International Conference on Patient- and Family-Centered Care. The campaign has increased the profile of mental health services at St. Paul’s and province wide, resulting in increased media coverage and public attention.